Ohio Living Sarah Moore has received notification that its new rehabilitation center in Delaware has been certified and short-term rehab patients may now be admitted. The community is located at 26 N. Union St. in Delaware. Ohio Living Sarah Moore has received notification that its new rehabilitation center in Delaware has been certified and short-term rehab patients may now be admitted. 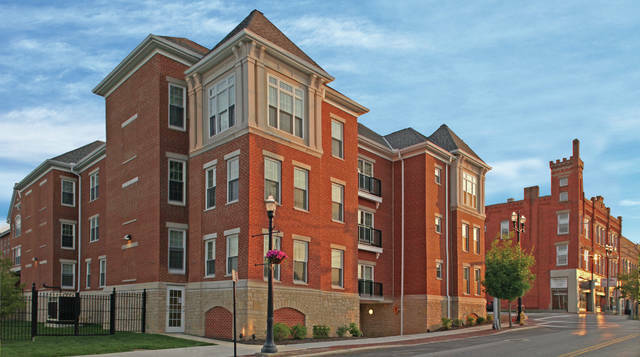 Ohio Living Sarah Moore, located at 26 N. Union St., began construction in 2016 to convert part of its assisted living and skilled nursing areas into a dedicated short-term rehabilitation center. With certification complete, the new center offers 19 private and semi-private luxurious suites with private baths and walk-in showers. Additionally, the therapy gym was moved from the basement to this second floor rehab area and provides state-of-the-art equipment, including the virtual rehabilitation platform, which utilizes motion capture technology to engage patients in fun games while assessing joint mobility and progress. Guests will enjoy chef-prepared meals in the new dining room, as well as daily activities and access to all of Ohio Living Sarah Moore’s amenities. The community’s experienced therapy team will provide individualized one-on-one care to help patients recovering from an injury, illness or surgery establish and meet their recovery goals. To learn more about the rehab center at Ohio Living Sarah Moore, call 740-362-9641 or visit ohioliving.org. Ohio Living Sarah Moore is one of 12 life plan communities owned and operated by Ohio Living, headquartered in Columbus. Since 1922, Ohio Living has defined the highest standards of quality of life for adults. Each year, Ohio Living serves more than 73,000 people annually through its life plan communities and Ohio Living Home Health & Hospice.